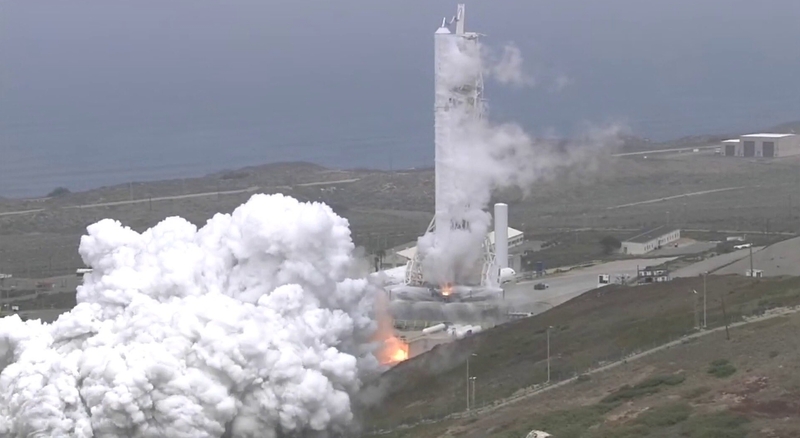 SpaceX is progressing well through what they hope to be their busiest year yet, conducting its customary static fire test ahead of the upcoming Paz and Starlink demosats launch. The static fire took place on Sunday. 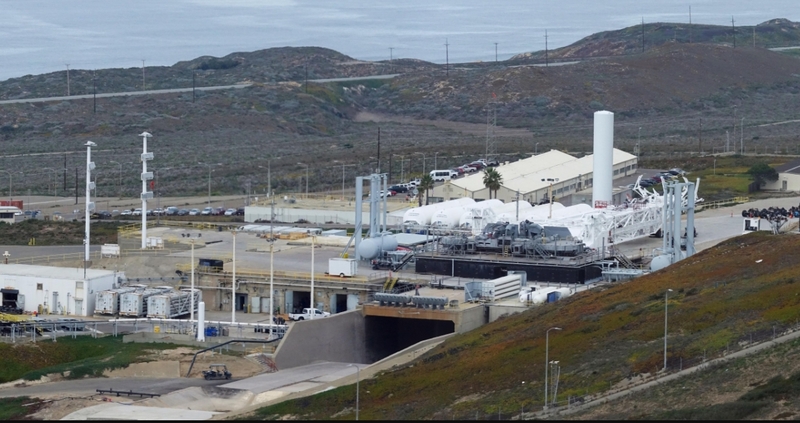 Launch is scheduled for February 17 from Vandenberg Air Force Base SLC-4E. 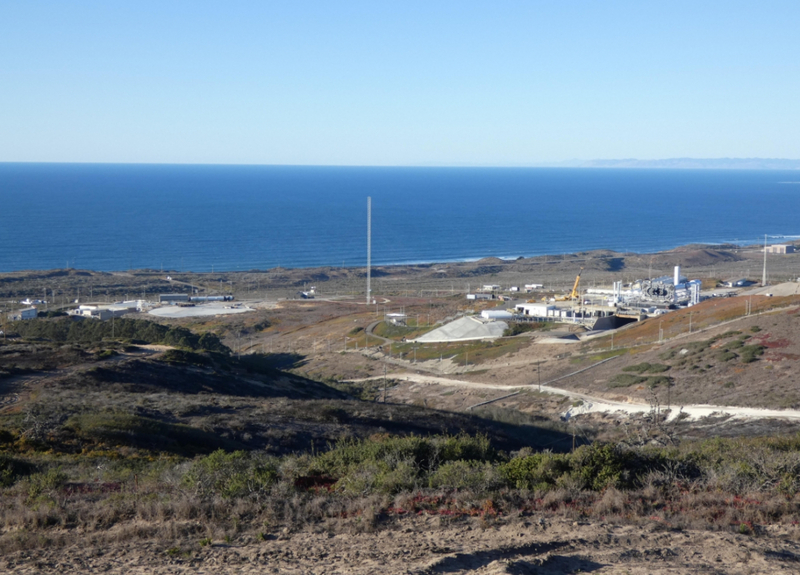 SpaceX has also been upgrading many facilities at and around the launch site, including readying their new nearby landing zone for supporting future Return-To-Launch-Site (RTLS) landings at Vandenberg. SpaceX is continuing to work through their ambitious 2018 manifest, aiming for their fourth launch this year, which will take the 1350kg Paz satellite and two 400kg Starlink demo satellites into to a 514km Sun-Synchronous Orbit. The first stage – flight-proven core 1038 – is expected to be expended with a possible ocean landing, as the core has been observed without landing legs. One of the largest and most important steps to be taken by SpaceX before launch is the static fire, a test that involves going through every step of a simulated launch countdown on the pad, including fueling the rocket and doing a short test fire of all 9 Merlin 1D engines on the first stage. The firing of the engines can range from the usual 3.5 second burn – used on flights with new boosters – to 7 seconds – usually used on flights with reused boosters – and all the way up to 12 seconds – which was used on the full Falcon Heavy demo mission stack. 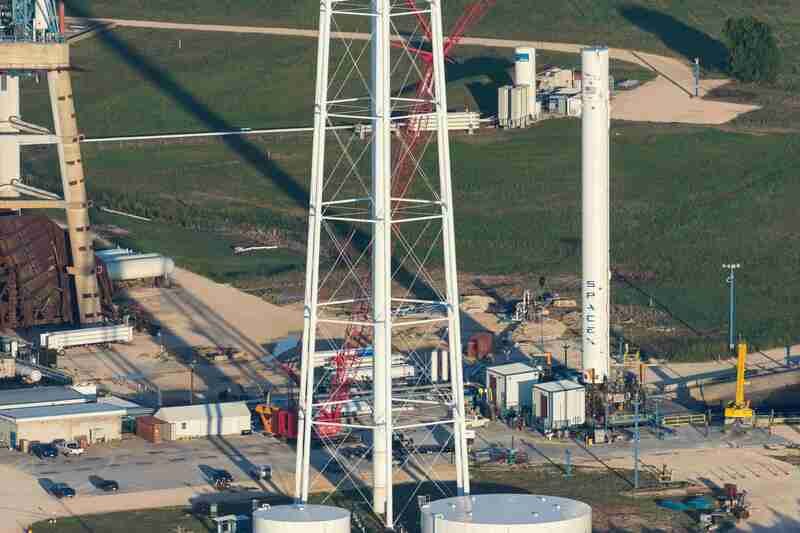 After the static fire occurs, SpaceX will conduct a quick review of the data from the test. SpaceX confirmed the milestone via Twitter later on Sunday. A more detailed data analysis will follow throughout the next few days to further confirm that the vehicle performed as expected in the test, and is cleared for launch. Meanwhile, the launch team at Vandenberg will be rolling the stack back into the Horizontal Integration Facility (HIF) to have the payloads – in their fairing – attached to the vehicle, before the now completed stack is again rolled out to the pad – this time for launch. SpaceX performs the on-pad static fire test – which is uncommon in the industry – to make sure all the vehicle, pad and mission control systems are operating correctly during a simulated launch countdown. In addition to a static fire test, SpaceX occasionally performs a Wet Dress Rehearsal (WDR) on the vehicle. This test – like a static fire – is a complete launch countdown simulation, but does not include ignition of the engines. The rockets for the Falcon Heavy demo flight and the Zuma mission each performed multiple wet dress rehearsals on their launch pads. Before new Falcon 9 stages go to the launch site, they first must undergo a much longer test fire at SpaceX’s McGregor test facility. The length of the test fires can range from a minute to a full duration burn for the first stage, and from a few minutes to full duration for the second stage. The core that will be used on this mission – core 1038 – was previously used to launch Formosat 5 to a sun-synchronous orbit from SLC-4E at Vandenberg Air Force Base. The core landed successfully on the drone ship Just Read The Instructions after what was at the time the hottest reentry of any Falcon 9 booster that was to be recovered. As with all new Falcon 9 boosters, core 1038 completed a test fire at McGregor in late June 2017. After the test fire, the core was then shipped to Vandenberg for processing to prepare it and its second stage for an on-pad static fire, ahead of the launch of Formosat 5. After processing and integration tasks were complete, the Falcon 9 stack, minus its payload – as is now usual after the Amos-6 on-pad conflagration – made its way out to the pad on August 18, and successfully performed a static fire the next day. The vehicle then rolled back into the HIF to have Formosat 5 – in its fairing – attached to the vehicle. On August 23, the complete Falcon 9 stack rolled back out onto SLC-4E ahead of its launch the next day. After a smooth countdown, the Falcon 9 lifted off with Formosat 5, aiming for a 720km Sun-Synchronous Orbit. The launch was a total success, with the payload deploying into the correct orbit and the first stage landing back on the droneship Just Read The Instructions. After the successful landing, Just Read The Instructions returned to the Port of Los Angeles with core 1038 onboard. The core was unloaded and sent back to SpaceX HQ at in Hawthorne to be inspected and refurbished. The current refurbishment process of Block 3 boosters takes around 24 weeks – which SpaceX hopes to dramatically reduce with the new Falcon 9 Block 5. 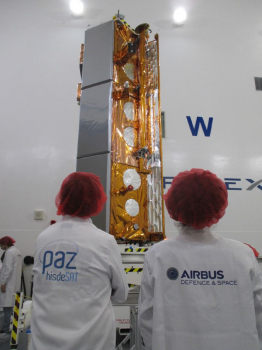 The Paz satellite – named after the Spanish word for “peace” – will be launched into a 514km circular orbit. It was built by Airbus for the Spanish company hisdeSAT, and will be used for military and civilian purposes. Paz has an image sensor that can work at both day and night to produce up to 100 high-quality images per day. Also, Paz has an instrument that will monitor precipitation and bodies of water around the globe. The Paz mission will also be carrying two smaller passengers, demonstration and test prototypes of SpaceX’s Starlink internet satellites. 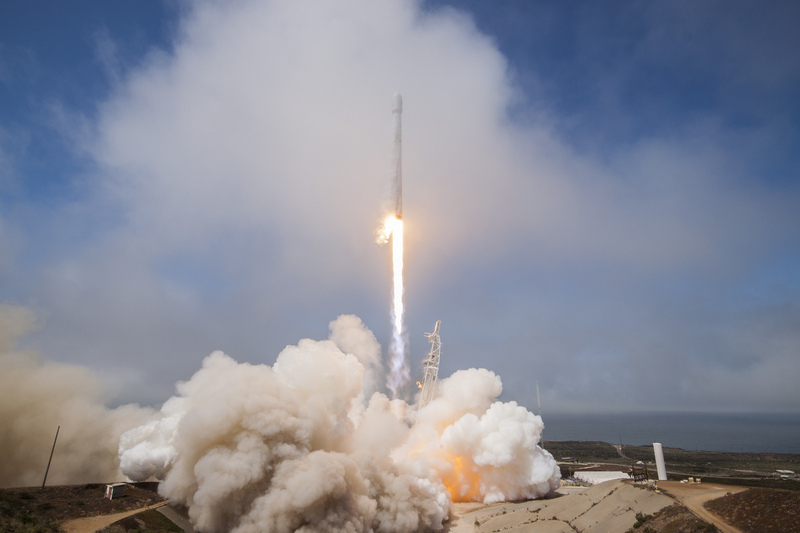 Not much is known about the two demo satellites, as SpaceX has been keeping many details about its future internet satellite constellation secret. SpaceX has been making upgrades to its Vandenberg launch and landing facilities throughout 2017 and 2018, and they are getting close to being able to support RTLS landings at Vandenberg. Some of the recent changes to the Falcon 9 launch pad at SLC-4E include the addition of new, larger sound suppression system “rainbirds”, similar to the ones installed on LC-39A at Kennedy Space Center. Also, four new lighting fixtures – two sets mounted on new towers, and two sets mounted on an adjacent hillside – have been added around the launch pad to better illuminate the rocket and pad during night launches. Also, the new Falcon 9 landing pad at Vandenberg is getting ready to support Falcon 9 first stage landings. Currently, booster hold-downs at the landing site are being prepared for installation and will hold the booster in place as recovery crews remove – or fold up, in the case of Falcon 9 Block 5 – its landing legs post-landing. It is currently unknown which mission will make first use of the new landing pad at Vandenberg, but it is known that the Iridium launches can perform an RTLS landing, but they require a Block 4 booster’s added performance in order to do so.